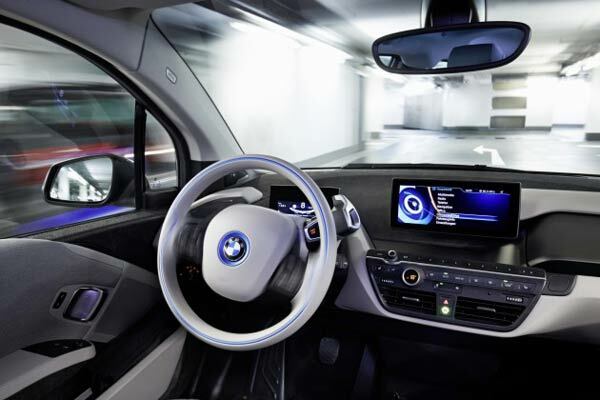 Top flight automobile maker BMW is set to debut its i3 research vehicle. The new car is capable of being parked by the firm’s Remote Valet Parking Assistant, controlled from a smartwatch app, and will be on show at the International CES trade show in January 2015. The new Remote Valet Parking Assistant system will be demonstrated at the show, where it is integrated in a research version of the electric BMW i3. This car is equipped with a laser guidance system consisting of four laser sensors that give the car a 360-degree look at what’s around it, plus digital plans of multi-storey car parks in order to navigate. Under the instruction from your smartwatch, the i3 will be able to park itself as it maps and identifies hazards within its environment and triggers the breaks automatically when necessary. 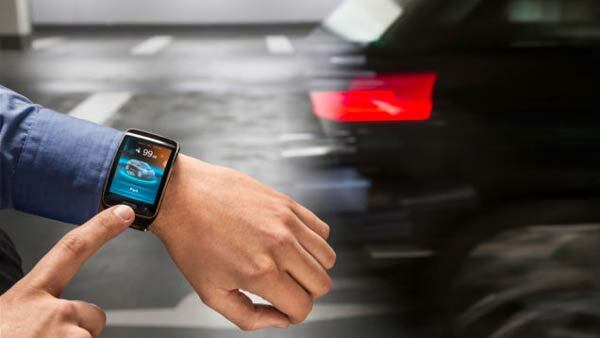 “If the driver uses the Smartwatch to activate the fully-automated Remote Valet Parking Assistant, the system will steer the vehicle independently through the levels, while the driver has already got out of the car and is on his way to a business appointment,” BMW said in its press release. In addition to finding a car parking space and locking itself once it has arrived, the i3 is said to be capable of arriving at the exit of the car park, ready and waiting for the driver, upon their return. Of course, with technology as such, the system can always be overridden by the driver at any time as well. The innovative app seems like it is shaping up to be a Samsung exclusive, going from the Gear S being used in the official pictures. However, this has not been confirmed by BMW and there is still a chance that the system will work with other Android Wear devices as well. BMW will be showing invited journalists how Remote Valet Parking Assistant works on top of a parking garage at CES, and the company’s goal is to show what will be possible by 2020. The car maker highlights that its system could potentially function in any structure giving that the architectural blueprint is available. This advancement will avoid dependence on GPS, and car parks will not have to be upgraded with advanced infrastructure for the technology to work.